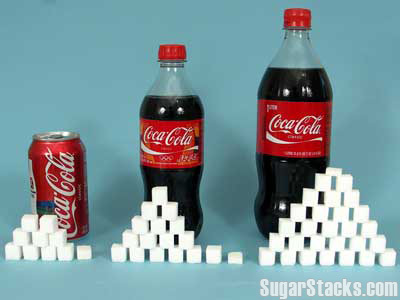 I missed the memo about sugar, self-esteem and sudden death. I’m staring down the barrel of 40 and so I’ve recently re-doubled my efforts to lose weight and get healthy. As my friends and I have talked about the various things we’ve tried in an effort to clean up our diets, a recurring theme has been how sugar affects our weight, mood, and just about everything else. Damn...that's a lot of sugar. But when it comes to giving up the extra sugar, the deck is kind of stacked. Not only are we hard-wired to enjoy and crave sweet things, our efforts to resist the treats are constantly undermined by the indignities and insults we suffer all the time. Check out this post in one of my favorite blogs which summarizes some interesting research about the nature of will power. It seems that will power can be, at least in some situations, a function of how we’re feeling about ourselves in a given moment. The research suggests that when we experience some rejection or criticism, we’re less able to resist treats. I am a freakin’ poster child for this phenomenon and this why I no longer keep candy on my desk at the office. A tense phone call or a snarky e-mail would send me diving into the Hershey’s kisses. Oh, my mom died when I was *insert tender age here*. Sorry to hear that…what did she die of? Oh, that’s terrible. Was it vodka? Scotch?